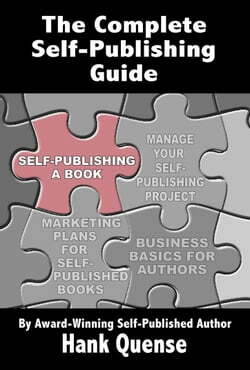 Planning on self-publishing a book? Hereâ€™s how to do it.The book describes the complete process necessary to self-published a book. Unlike those who maintain that self-publishing a book consists of simply uploading the cover and manuscript files, this book details all of the necessary... read more preliminary tasks that have to be finished before uploading the files.Itâ€™s a complete roadmap to get a book self-published. Itâ€™s organized by timeframes to break up the workload into manageable chunks.